Grandma knows best! Her wisdom transpires in almost everything and even in her cooking. What would be better than to let her know how much she means to you and your family rather than a meaningful gift? Why not make her feel appreciated this year? And you can do so much with our gift to make it more special for your granny. When you were a child, she was always there to comfort you. There's no better friend than a grandmother who is willing to be beside you. Don't forget about her cooking! She's a wonderful cook and you'd probably imagine the smell of her cooking now. Believe it or not when we say that a grandmother will do anything for her grandchild and to make them happy. And for your grandma, we have come up with something special - memorable gift for grandma in Singapore to make her feel loved in any steps of her way. Your grandma has probably received lots of gifts but there's always a room for one more. Express your profound love to your grandma in Singapore with our gifts selection. What kind of gifts your grandma would want for her birthday? Browse our selection of gifts in birthday gifts for grandma from granddaughter to start and you can find more inspiration there which is a special treat for your grandmother. Now, if you are intending to present your grandma with something special, ditch any ordinary gifts you can find in any local stores in Singapore. We agree that there are tons of handbags, clothes and many more items that you can gift to her. But, we believe that you can gift her something more personal that you can pick from our collection of best-personalised gifts for grandma. A grandma who is both fashionable and shopaholic is a great combination! She probably has a better fashion sense than you and she can spot good clothes from a distance. What can we say? She's the best at everything. Want to know what are some of the best gifts that can reflect her personalities better? No woman in this world would reject a bag. She's definitely in for a sweet surprise with our cool DIY bag for grandma. Having a grandma with a weird and eccentric personality? While for some, their grandma can be cheeky and witty. To find a gift that can better reflect these personalities might be difficult but it's always best to start by narrowing down to what their likes and dislikes. And in Printcious, we can easily tackle this issue as our gifts are highly customisable. The coolest gifts for your grandma are only clicks away for you in Singapore. Personalise the gift for grandma in Singapore with love! With our online design tools, you can easily upload her own photo and make a customisation on a gift easily. 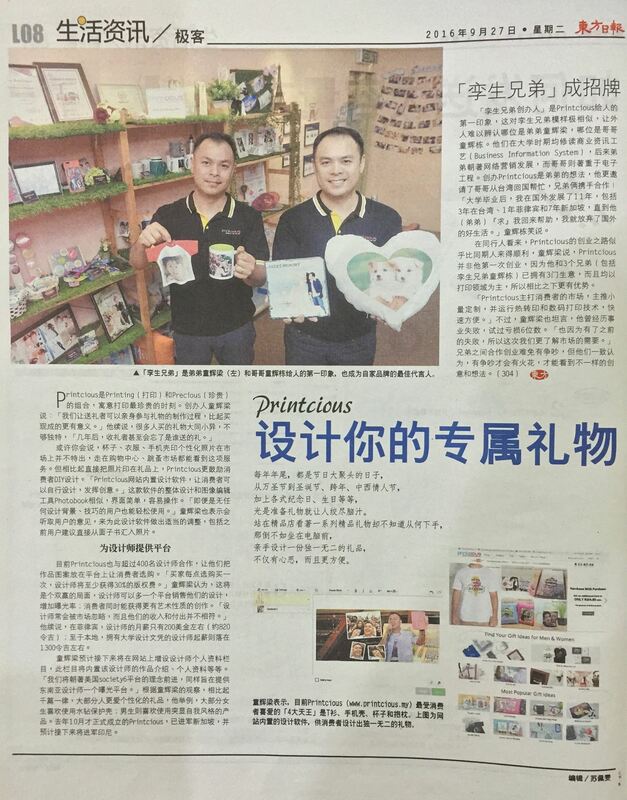 Wherever you are living outside of Singapore and looking forward to getting her a gift, you can do so with Printcious. Just browse our homemade DIY gifts for grandma and we will send them to you.